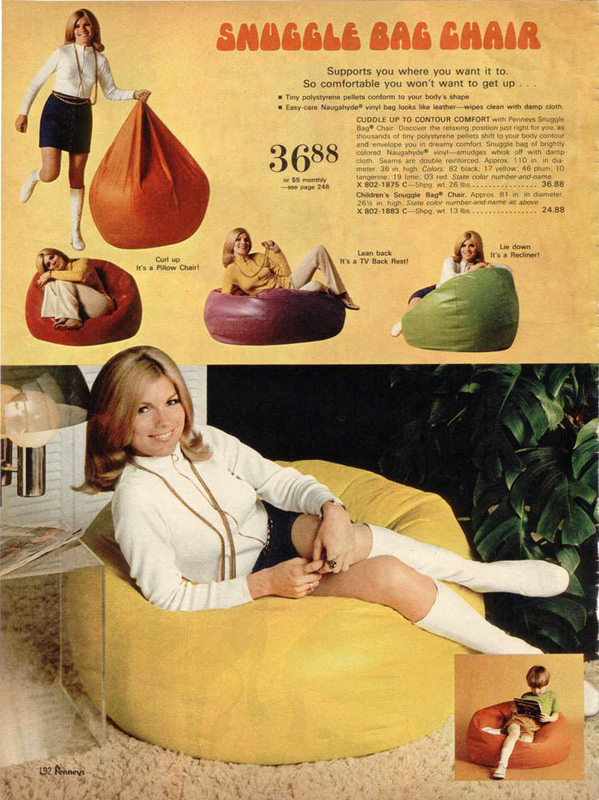 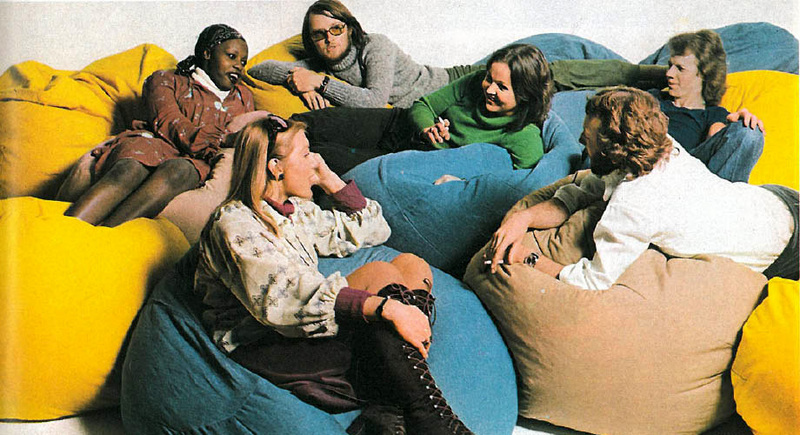 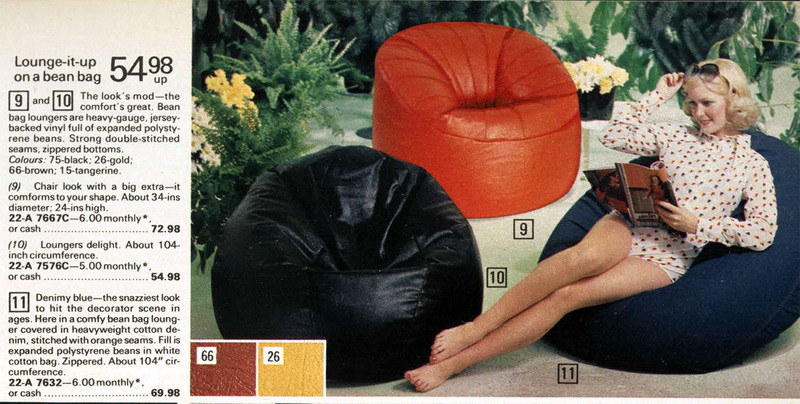 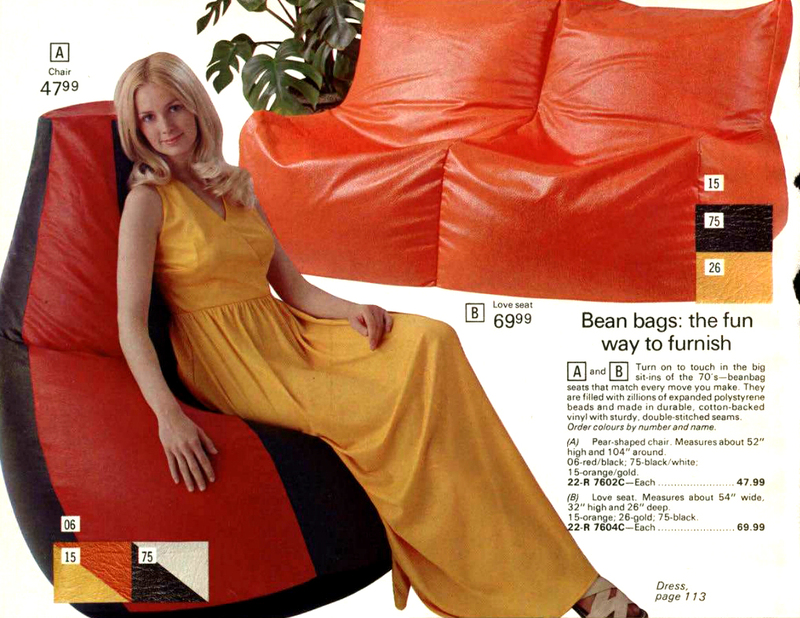 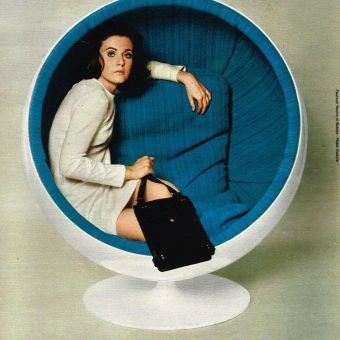 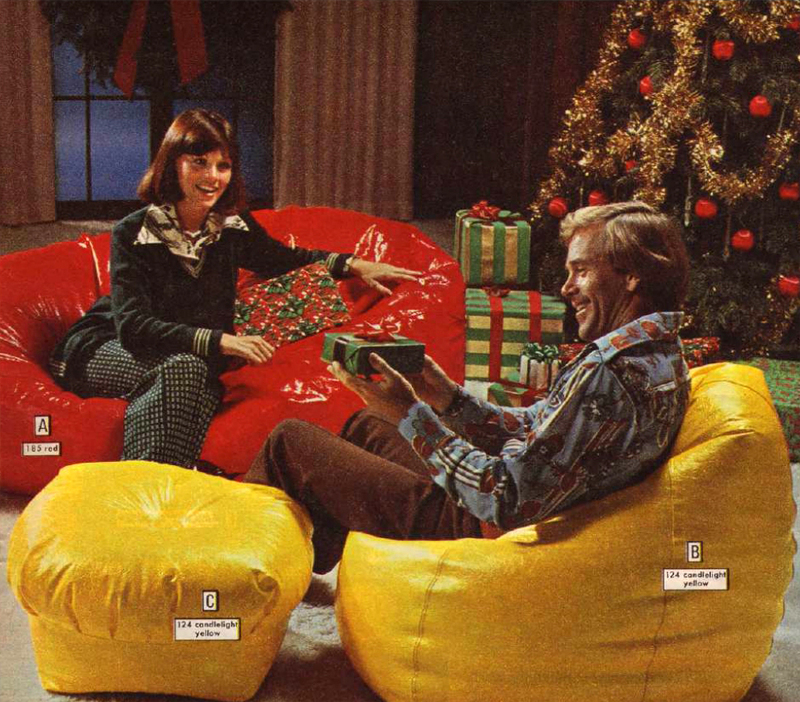 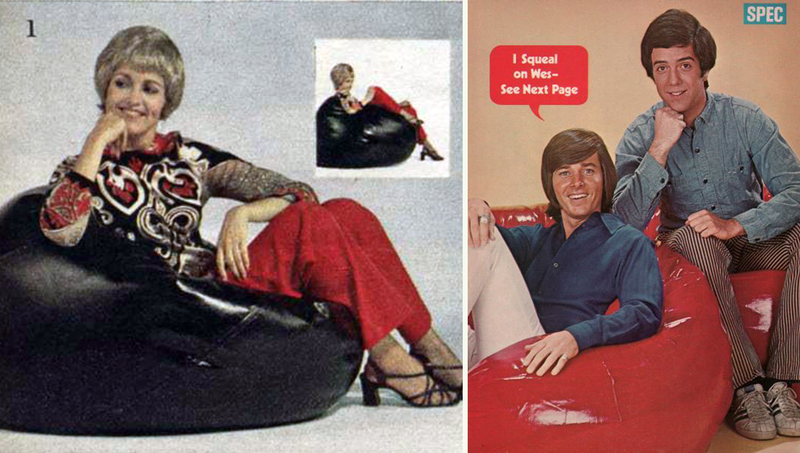 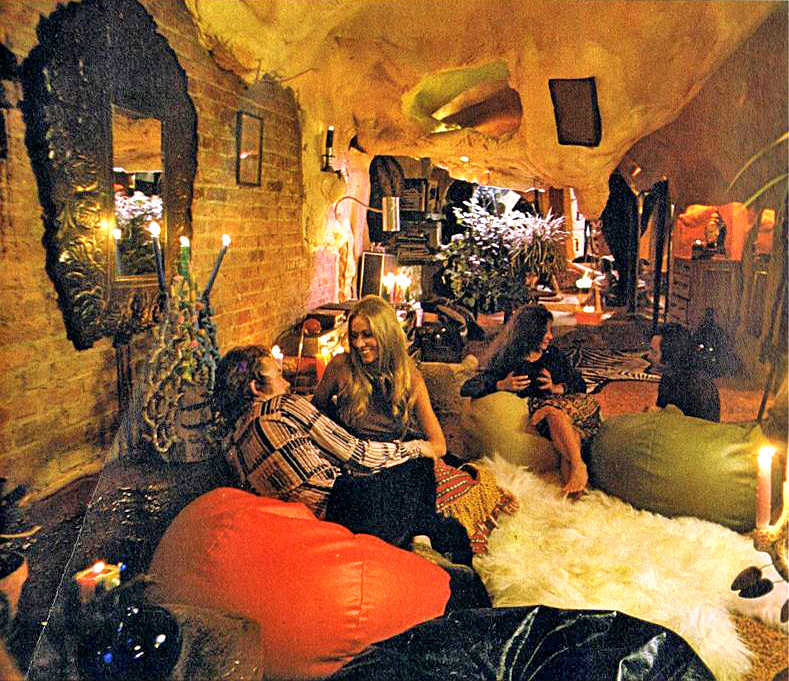 "The chair for the lax, hippie community and their non-conformist household"
The bean bag chair has its origin in 1968 as Sacco, “the shapeless” chair. 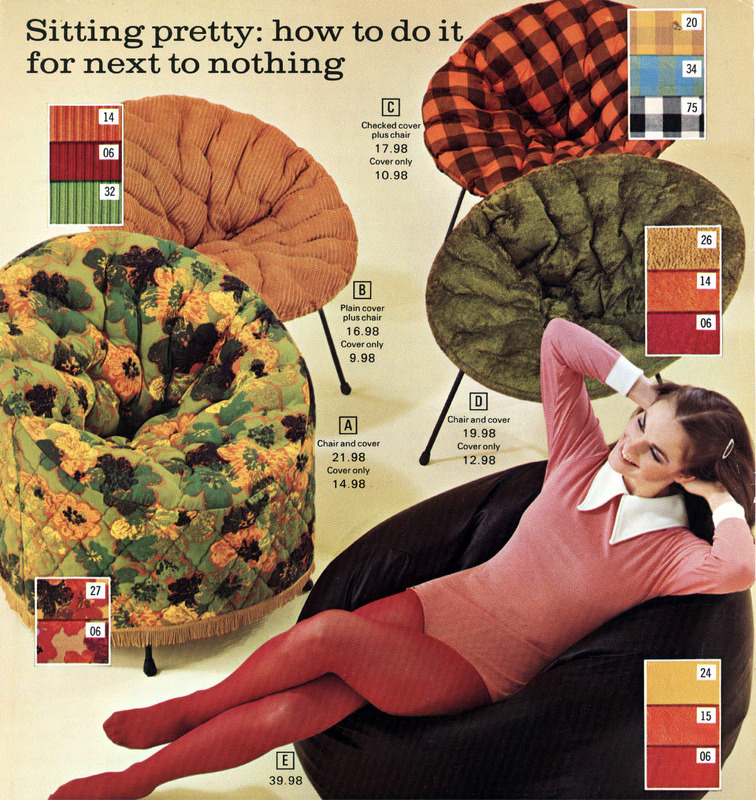 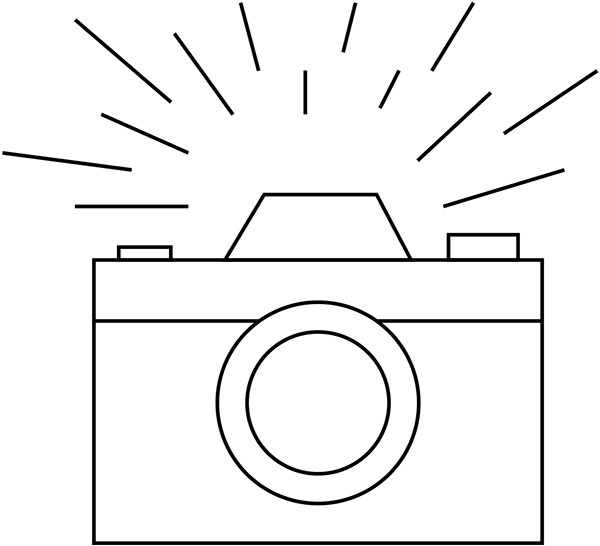 It was the creation of three Italian designers (Piero Gatti, Cesare Paolini and Franco Teodoro) who marketed their new chair to “the lax, hippie community and their non-conformist household”. 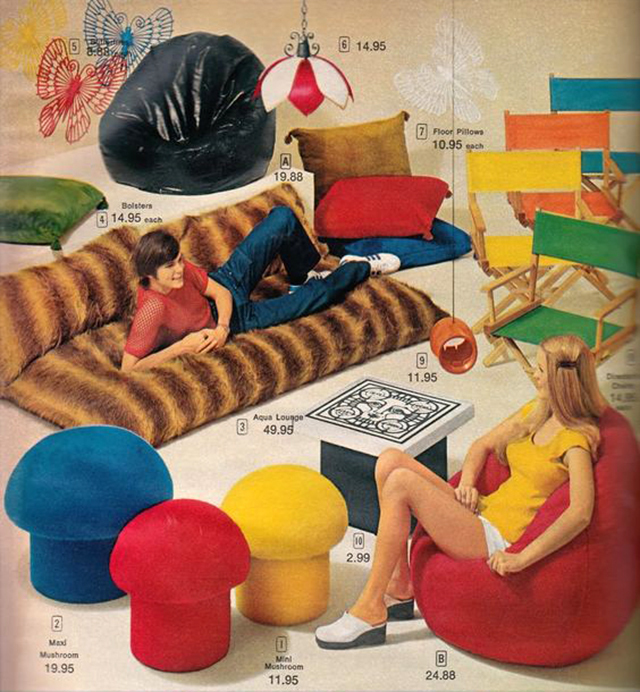 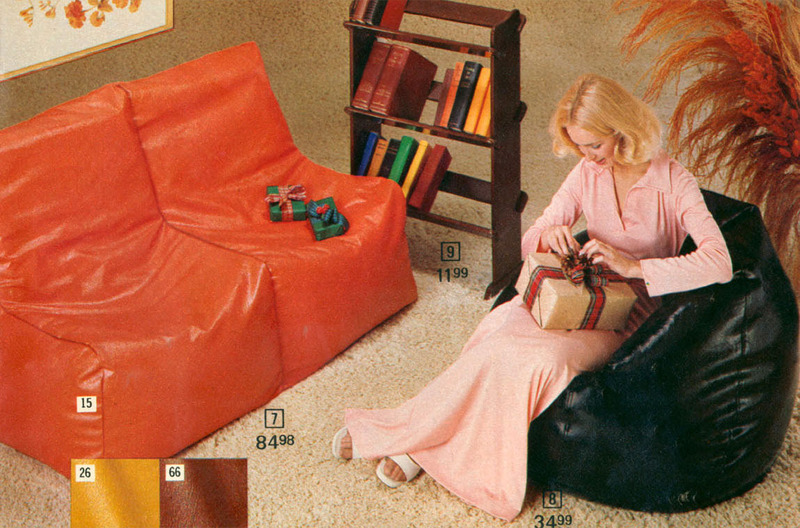 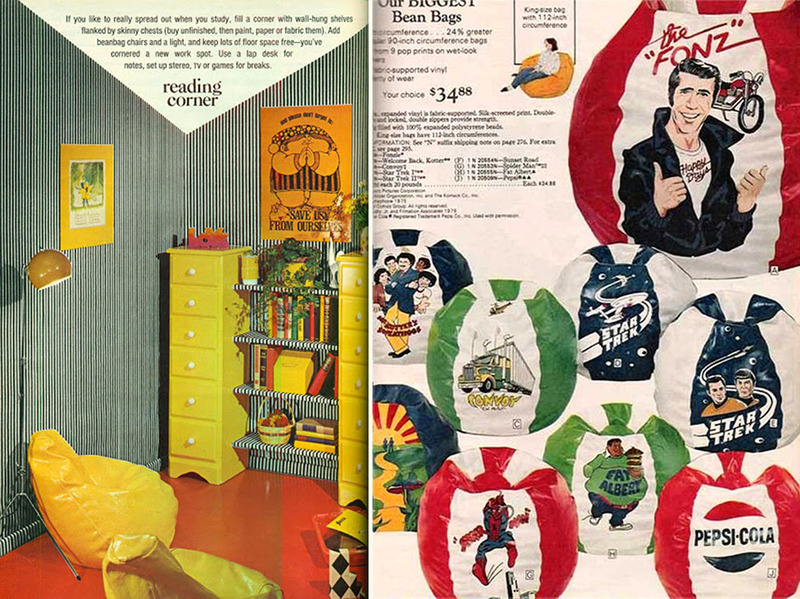 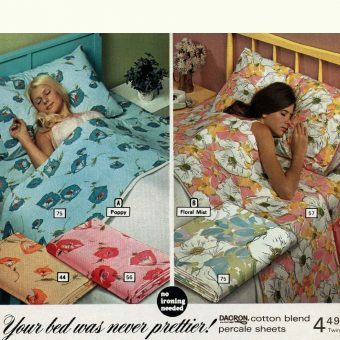 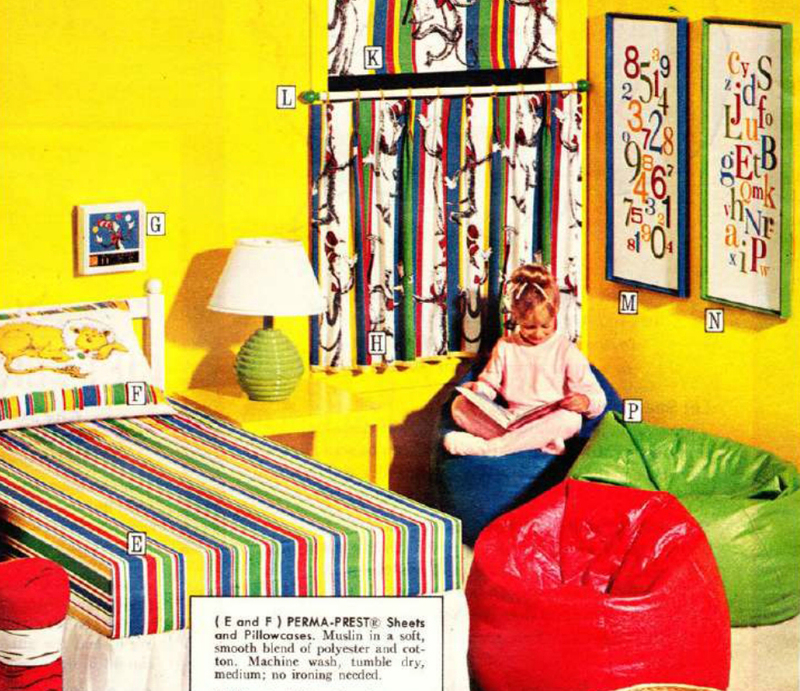 Like so many things popularized by the counter-culture, it eventually went mainstream, appearing in Sears and JC Penney catalogs. 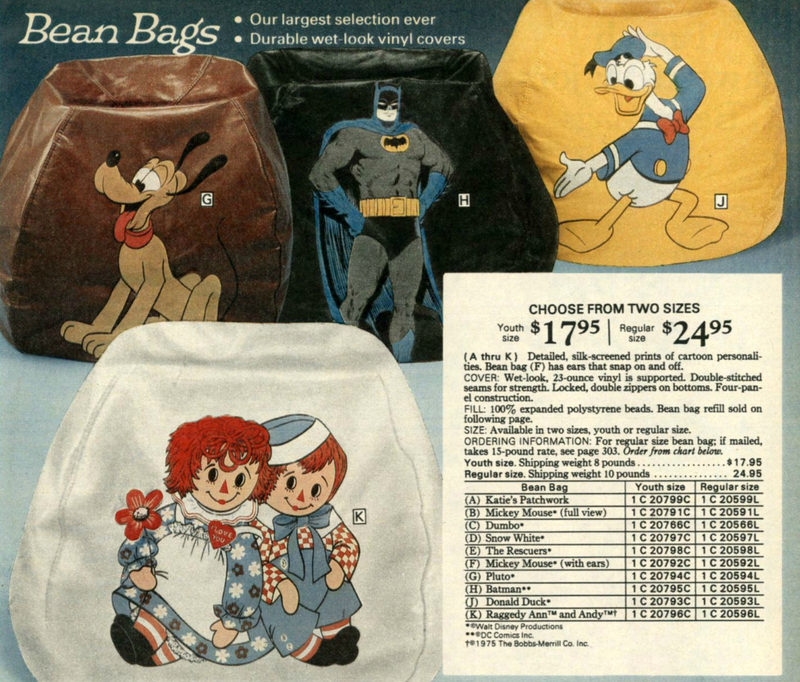 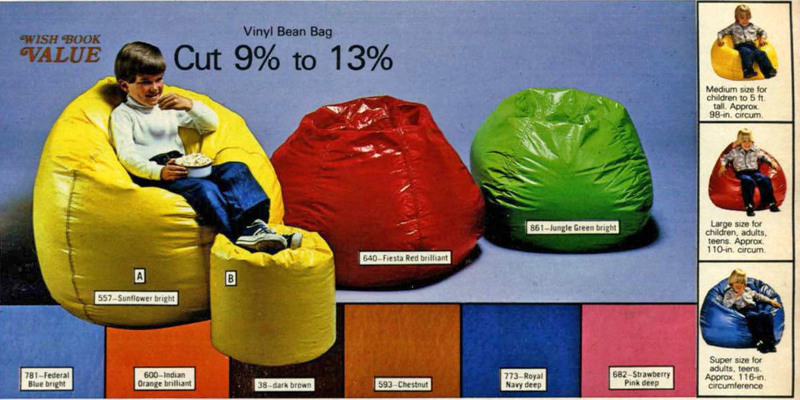 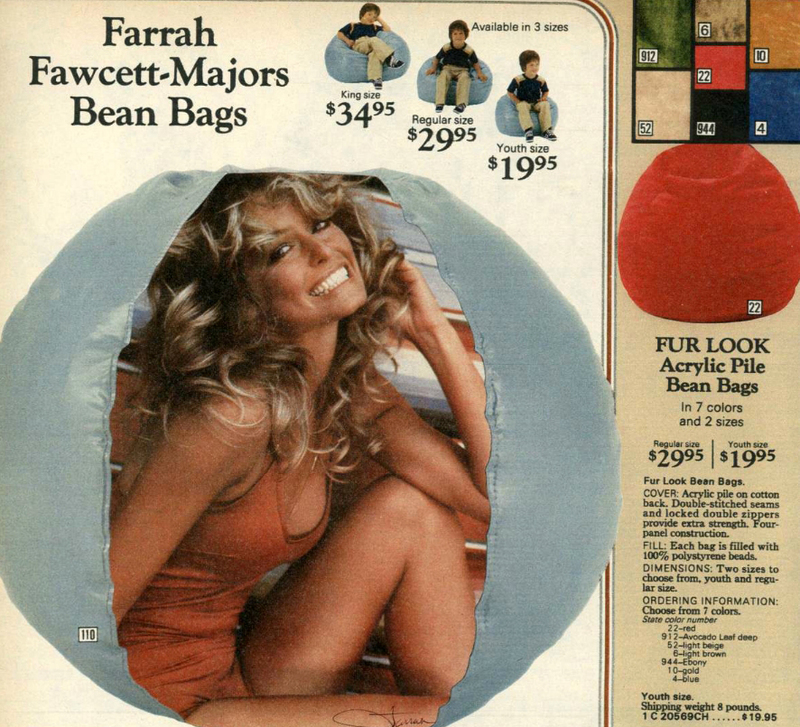 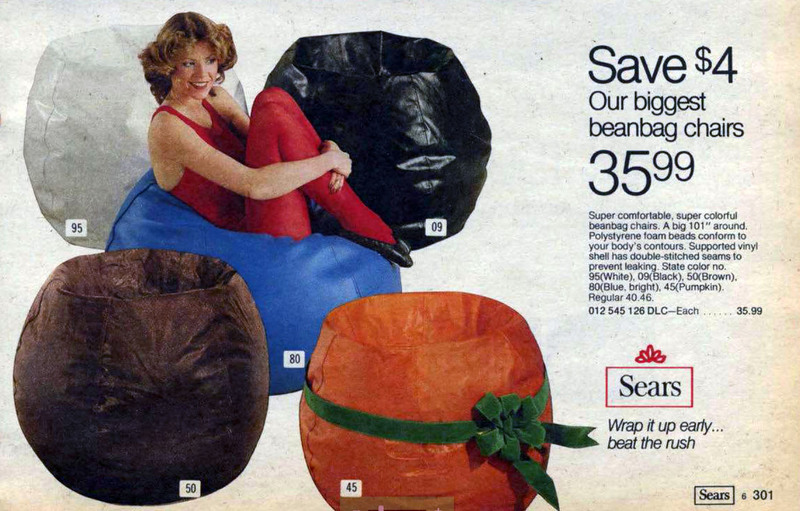 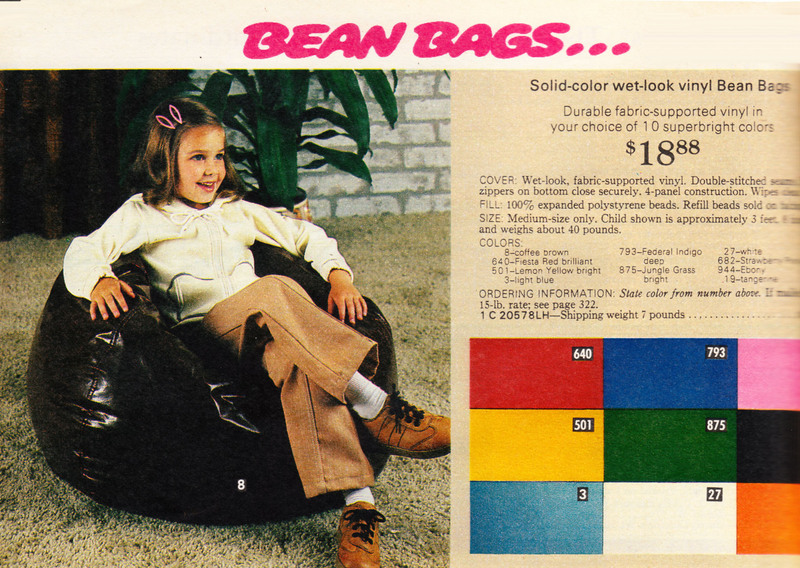 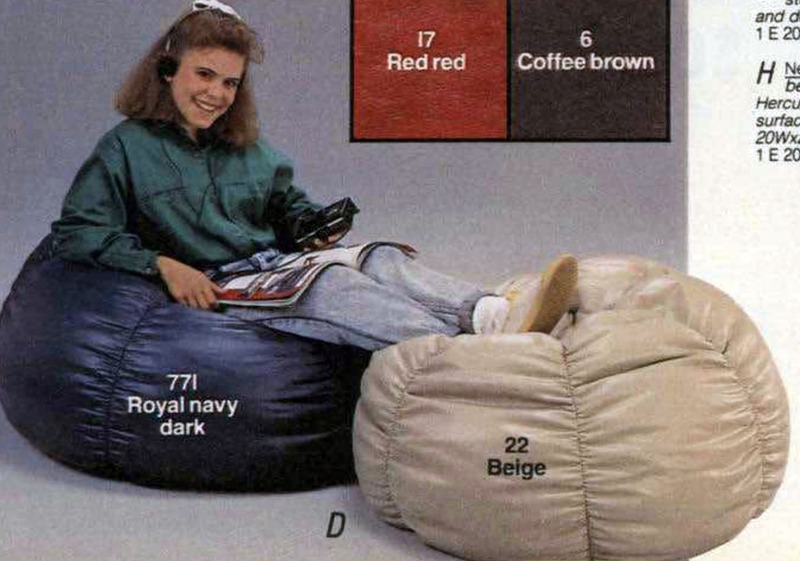 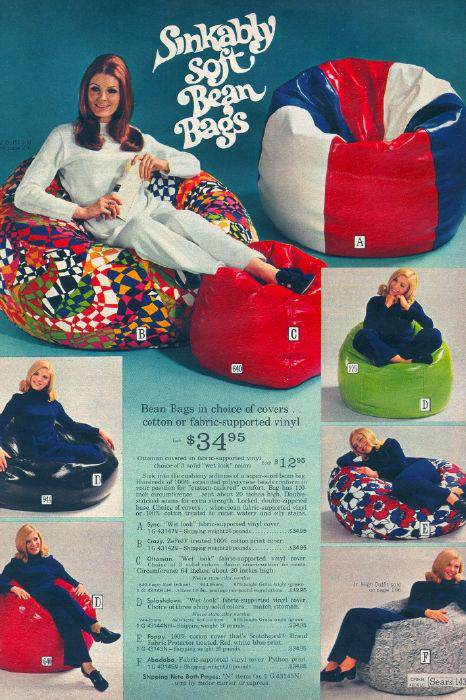 Being just a big sack of Styrofoam, it wasn’t patented, so the market saw a flood of bean bag chairs from all sorts of manufacturers. 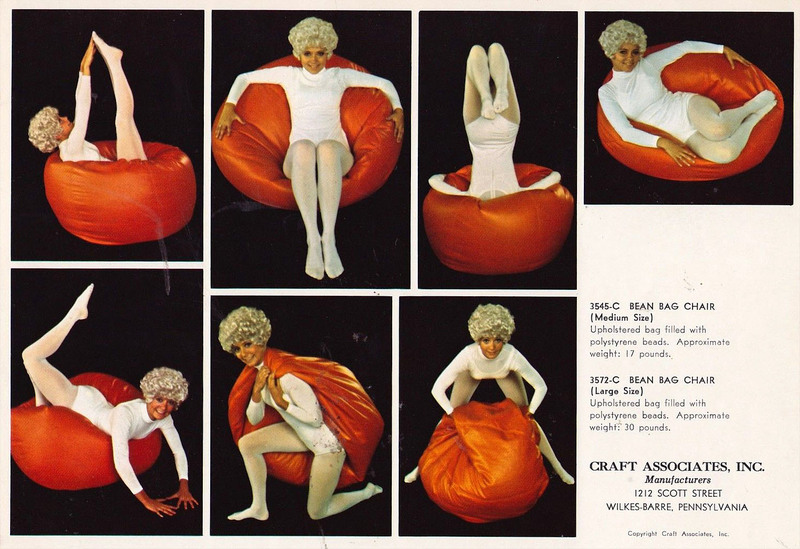 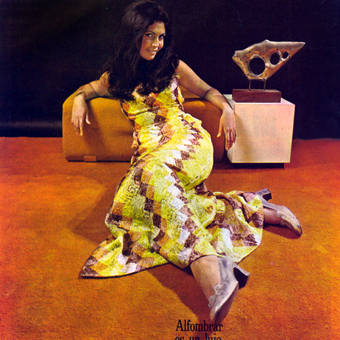 Let’s have a look at some images of the many progeny of Sacco: The Shapeless Chair.